At this time of year our historic neighbourhood is full of the sounds of construction. There’s the hammering of our neighbour who is replacing the surface boards on the front porch of his 1912 historic home. There’s the sound of shingles being ripped out across the street as workers rush to put on a new roof before winter sets in. Fences serve many functions. They act as a security barrier, keeping animals and people in or out. They augment the appearance of a house or other building. They create privacy, and in some urban centres, they can act as a barrier to excessive noise. Early settlers, lured to the West by the promise of free land, needed fences to protect their crops from animals and their livestock from unscrupulous thieves. 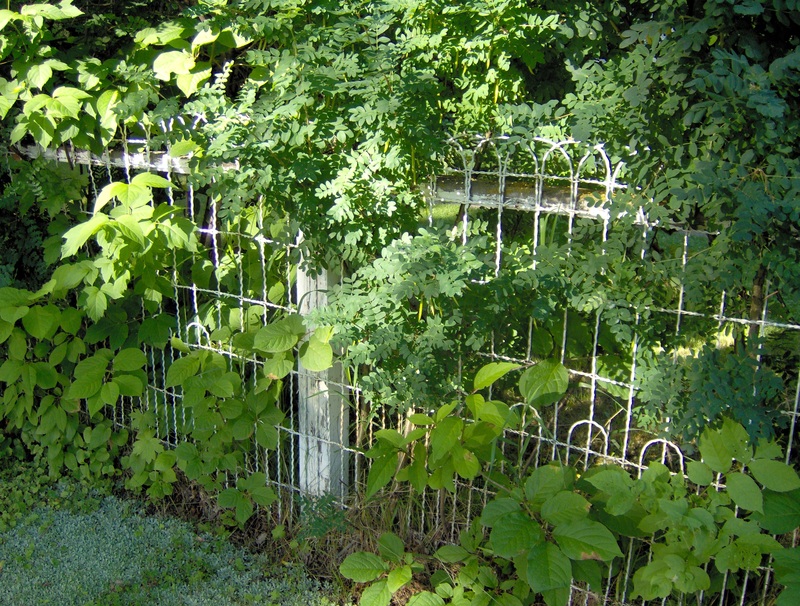 As villages and towns sprang up, utilitarian styles of fencing became more decorative as people used them to surround their houses and gardens. Gardens were seen as an integral part of the home at the turn of the 20th century. Fences around them did not act so much as barriers but as a method of delineating the boundaries of a yard. 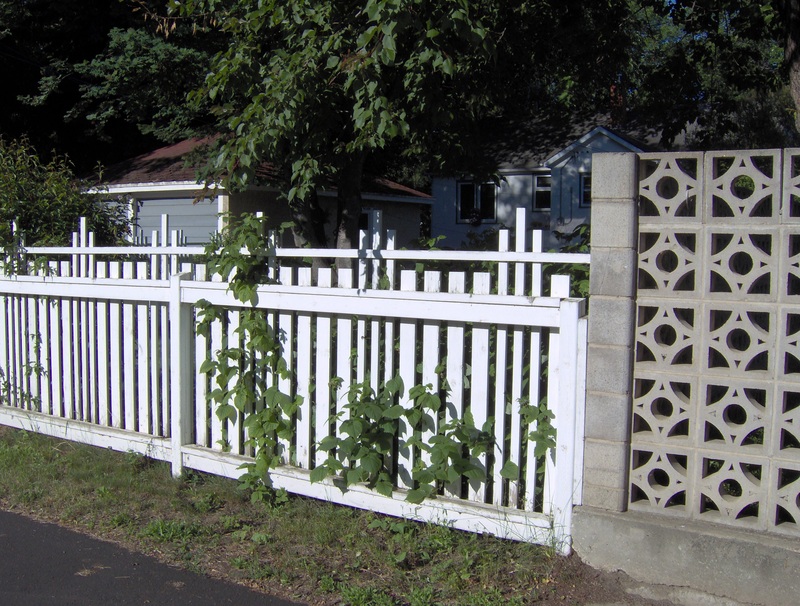 Low clipped hedges, picket fences and open lattice designs were popular. A leisurely walk in a historic neighbourhood with original fences will often reveal how homeowners once felt about their back yards. Gardens were freely shared with the onlooker—as much a pleasure today as it was so many years ago. Wire fences allowed that. 1.Do your research. 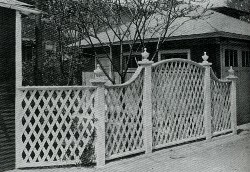 Early 20th century fences were much more open than those of today, and their designs were limited only by the owner’s imagination. 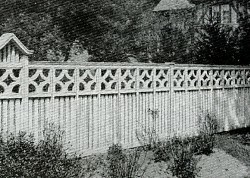 The 1926 book, Beautifying the Home Grounds, by Algrove Publishing, is a treasure trove of ideas for fences, pergolas, and lattice panels suitable for heritage homes. 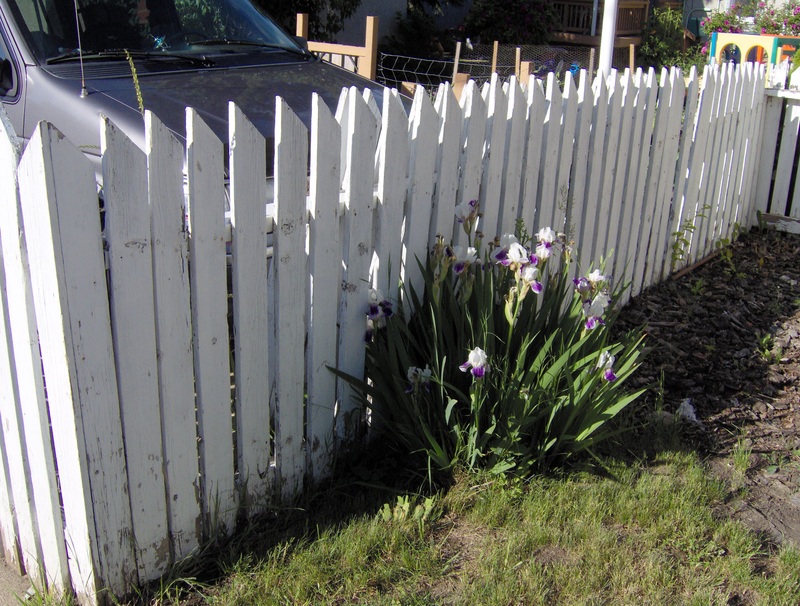 Picket fences have always been popular in historic neighbourhoods. 2.Choose a style that complements the architecture of your home. To individualize the standard-issue vertical board fence topped with a lattice panel (common in the 1920s) consider changing the gate itself, or adding a pergola over the entrance. 3.Choose appropriate materials. Wood is the traditional material for fences. Cedar or other insect- and rot-resistant woods provide an ecologically safe and appropriate choice for the heritage home. Left to weather naturally, cedar fences look wonderful where a more rustic look is favoured. For a more urban look nothing beats white or off-white paint, especially for traditional lattice-trimmed pergolas and arbours. 4.Decide who will build your fence. You can do it yourself if you are a knowledgeable handy person; however, some locations can be difficult and it may be best to hire a professional.Removing old fence posts encased in concrete could spell trouble. You will need to consult an up-to-date real property report (RPR) to ensure you are placing your posts in the proper location. It is one thing to repair an old fence, and another to build a new fence in the same location, since it might not agree with the boundaries of your property. Even if you are building the fence yourself, it is money well spent to have a professional survey your yard. The more complex your fence design, the longer and more difficult it may be to build. What is your time worth? Are you prepared to deal with potential problems? Building a fence in a neighbourhood with mature trees often causes problems. Tree roots can thwart attempt to dig holes for posts. Large rocks can do the same. Professionals have the tools to deal with these problems; on the other hand, many of these tools can be rented. If you do decide to hire a professional to build your fence, treat it like any other renovation project. Ask about warranties and interview previous customers. Check building codes and zoning bylaws. Repairing an older fence allows it to remain in situ, but building a brand new fence will be considered new construction and subject to current building codes. Height restrictions, distance from property lines, and city right of way will affect what you can do. 5. Call before you dig. Locate water, electrical, and telephone lines before you dig your fence posts. This service is free. Check your local yellow pages for the number. Choosing the right fence design that complements the architecture and age of your home with 21st century codes requires a fine balance and will add a lovely finishing touch to your property.